I recently went to a DJ show at Good Life, and since these shows usually last longer than the T runs and I also hate cabs, I decided to bike both ways (about 5.5 miles each way). It had been flurrying all day, but there wasn’t enough snow or ice on the roads to make me worried about wiping out. 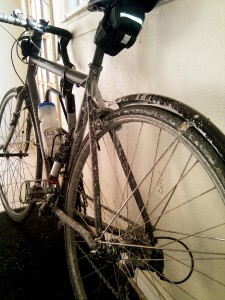 I’ve wiped as much of it off as I can, but it’s too cold to wash the bike (it would probably just freeze). 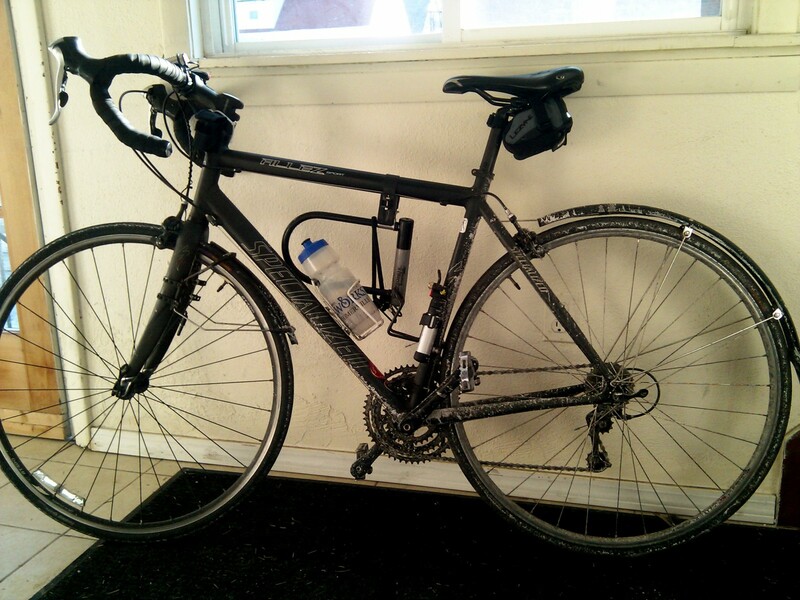 My hope is that the chain isn’t ruined and my components aren’t all going to rust. Ah well, the show was fun. I just got my car washed today, since it looked more or less like your bike--more, actually, given its size. 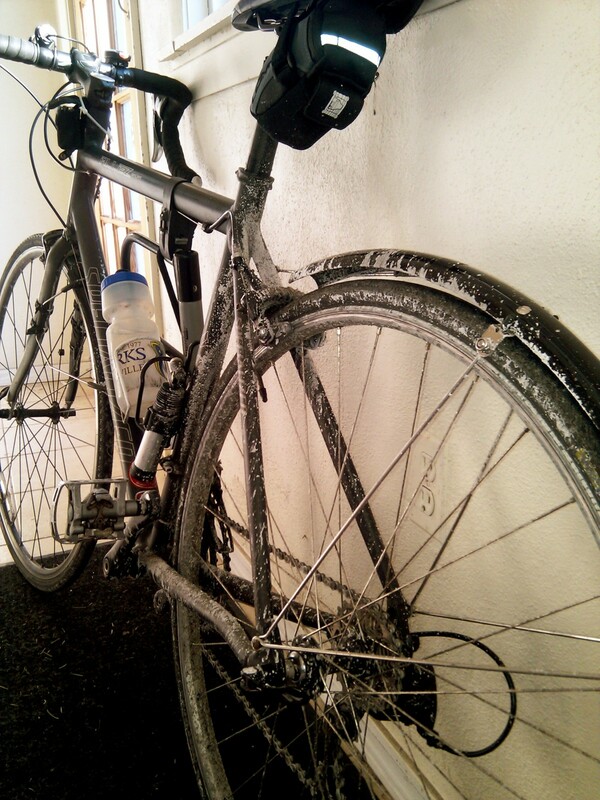 So maybe there is a market for a bike wash business? I am imagining a nifty spray arrangement that might wash cyclist and bike at the same time, with a rest-preventive spray and a set of hair-driers at the end?